Create pure wonder and awe whenever you speak. 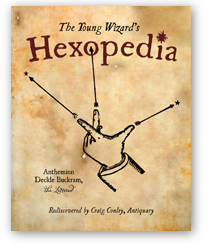 A one-of-a-kind resource for magicians and word lovers, exploring the most intriguing magic words and phrases from around the world. "But he found no word beneath the tongue of the reindeer, no magical word in the mouth of the white squirrel, not even so much as the beginning of a word."